After not singing "Alleluia!" 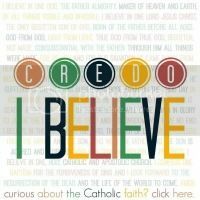 during Lent, it's now time to sing this song of praise during the Easter season! 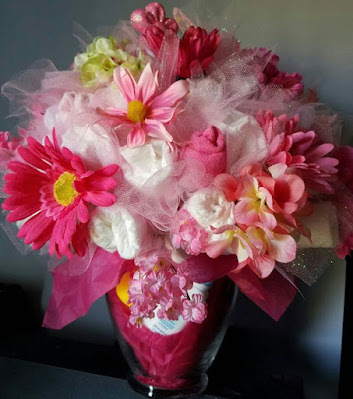 Did you know that Easter is not just a day, but a season called Eastertide? Eastertide begins on Easter Sunday and ends on the day of Pentecost, 50 days after Easter Sunday. Pentecost commemorates the giving of the Holy Spirit to the apostles, the beginnings of the Church and its mission to every tongue and people and nation. So since we are still celebrating the joyous resurrection of Jesus Christ, it's still not too late to post some of our family's Easter fun! 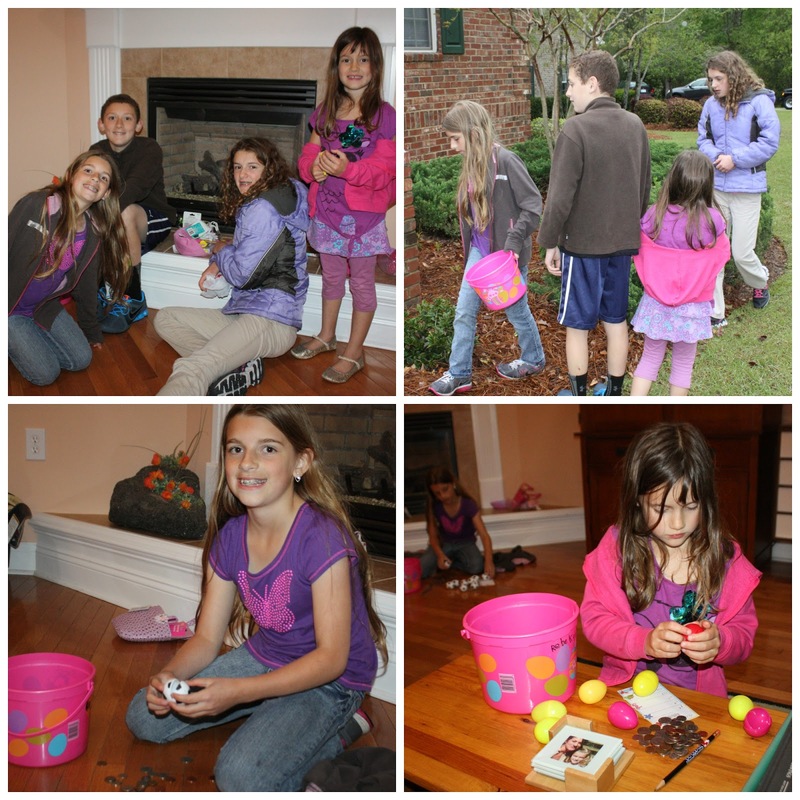 Our Easter weekend was busy and blessed, despite the cool, rainy weather! On Good Friday we watched my Mom play some Table Tennis for the Senior Games and we had our first annual symbolic Good Friday lunch. Good Friday afternoon was spent at church and this is the only day of the entire year where Mass is not celebrated anywhere in the world! 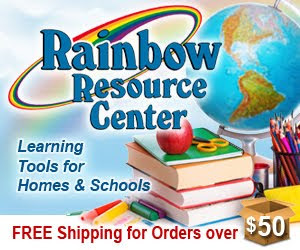 More on that HERE! 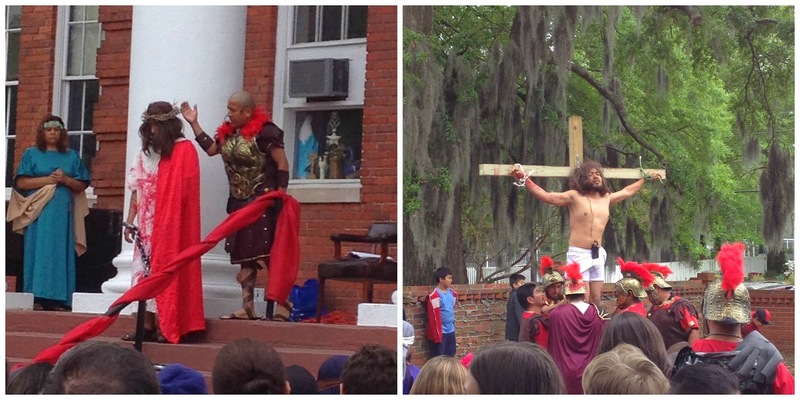 After the church service, the Hispanic parishioners did a live re-creation of our Lord's passion and death. It was very moving and our family thought it was a memorable experience to be part of the crowd as we followed the actors and actresses to Jesus' crucifixion. Here's a video of part of the drama. The actress in the black robe on the left side of the video played the role of Mary. 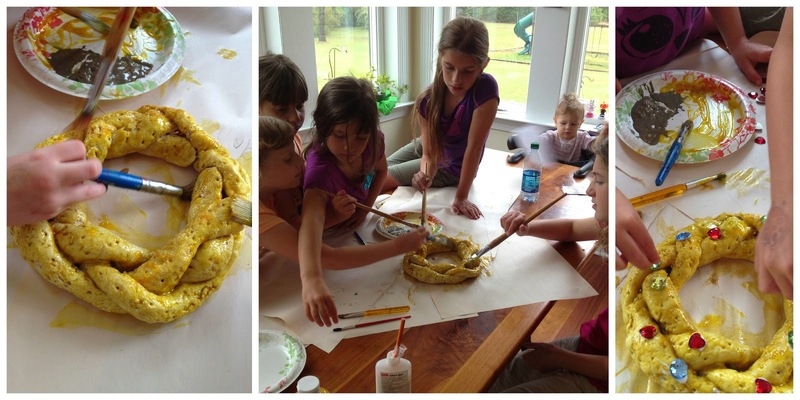 On Holy Saturday, we turned our salt dough crown of thorns into a beautiful golden crown with jewels. This is a visual reminder that not even death on a cross can keep the King of Kings and Lord of Lords down in a tomb and our sacrifices during Lent can be turned into something beautiful for ourselves and others! 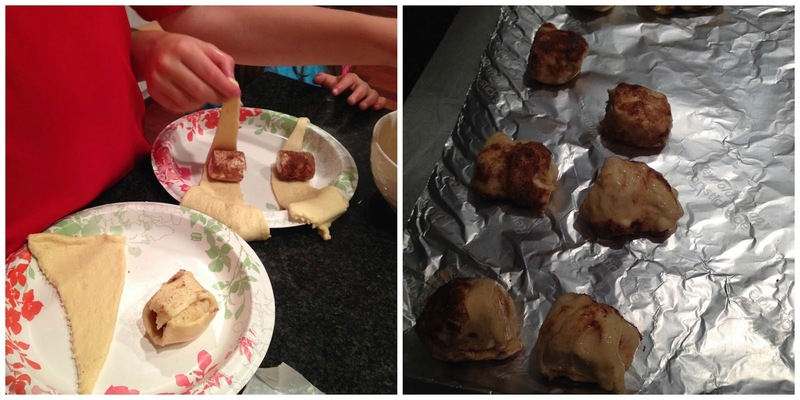 On Holy Saturday evening we made our traditional Resurrection Rolls that are hollow after they bake to symbolize the empty tomb on Easter morning. 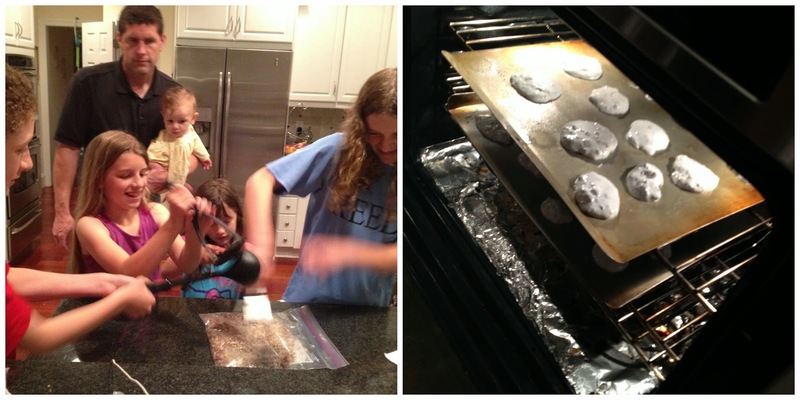 We also made our annual Resurrection Cookies on Saturday evening that are also hollow after they stay in the oven "sealed tomb" (which is turned off) all during Saturday evening into Easter morning on Sunday. We woke up early Sunday morning to start our Easter celebrations! My Cupcakes found this on the kitchen table before they found their Easter baskets. The white basket is filled with small chocolate eggs and a "He is Risen" egg. 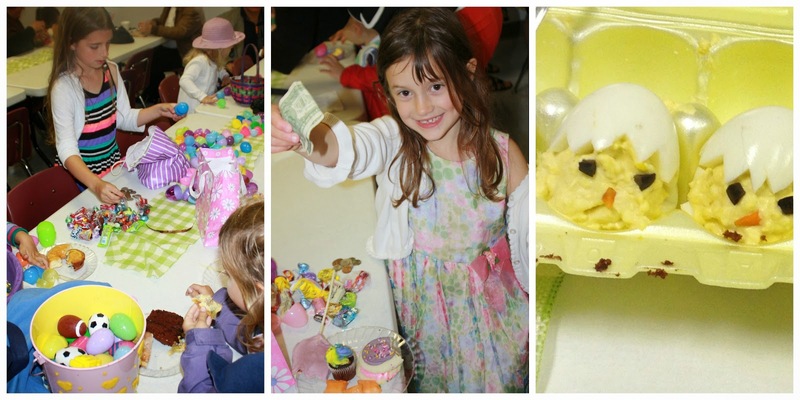 Our sacrifice beans during Lent turned into a jar of jelly beans and the golden crown that my Cupcakes painted during Holy Week makes a lovely Easter decoration each year. Can You Find Saints? 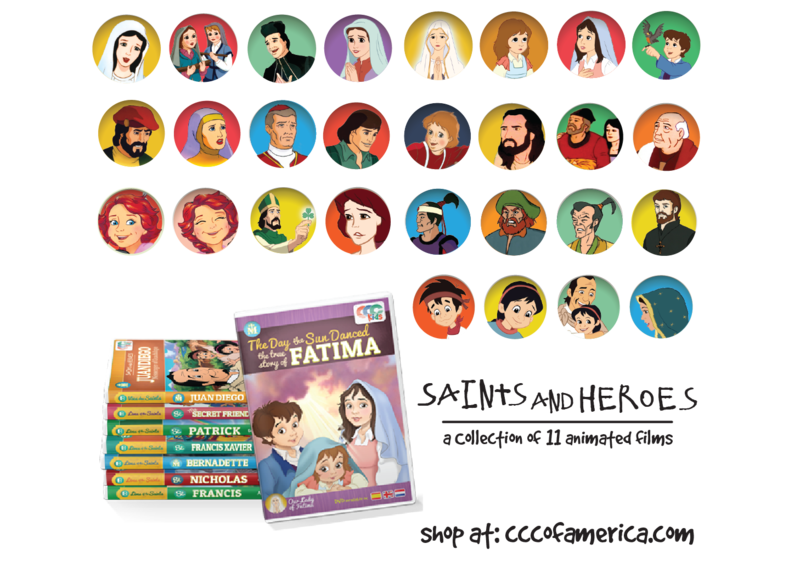 book is a wonderful picture book filled with tons of great and fun information about Saints. 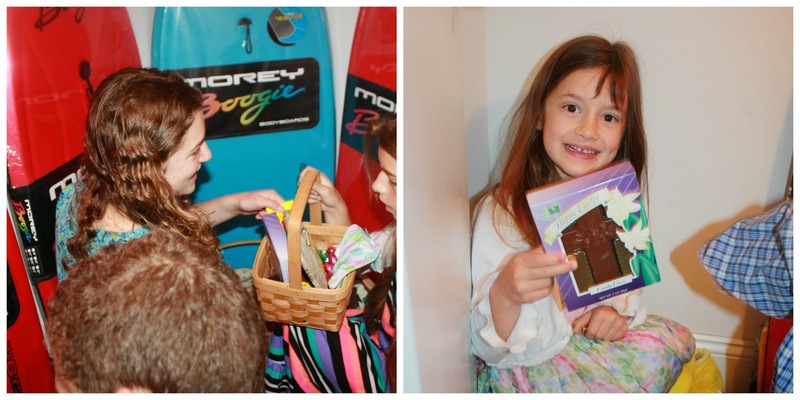 Some Easter basket goodies, including some Boogie boards for the surf, sun, and sand this summer. 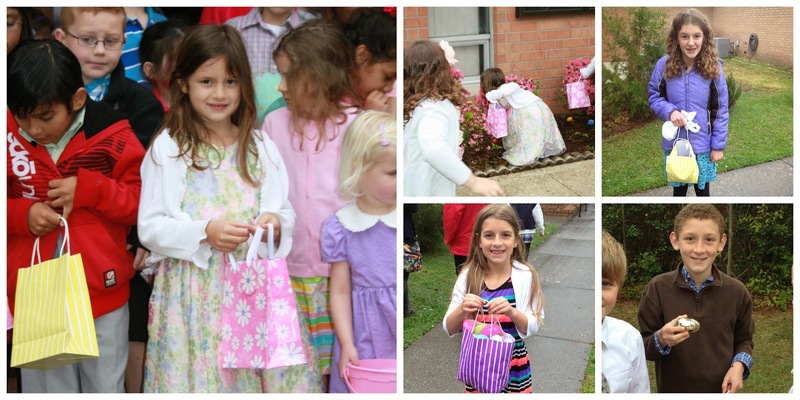 After a beautiful Easter Mass, there was a big Easter egg hunt for the little and big kids outside of the church. It was misty rain and cold, but that didn't stop the fun. Our son found the "golden egg" for the older kids that had a nice green bill inside. He was excited to find the big prize! 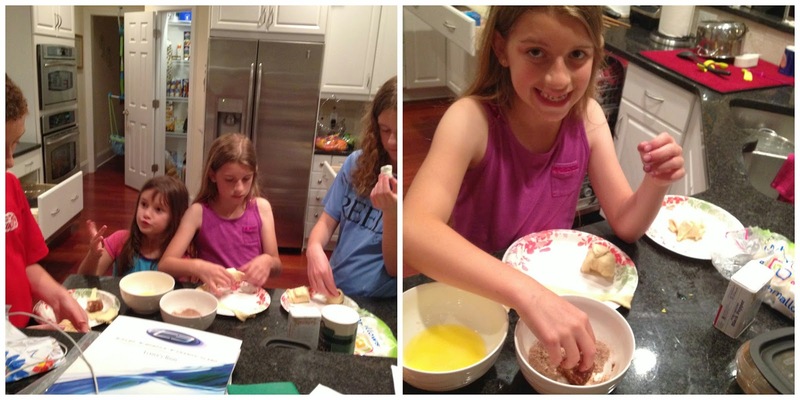 My friend, A.C., made the cute chick deviled eggs that she served at the parish breakfast after the egg hunt. 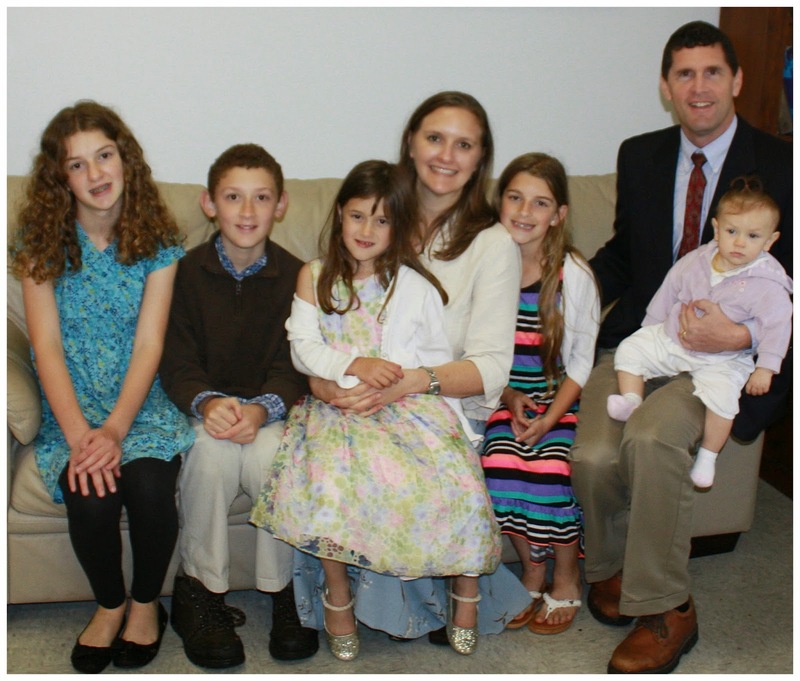 After Mass, the egg hunt, and parish breakfast we took our annual family picture inside the parish hall and not in front of the church's altar as in year's past. 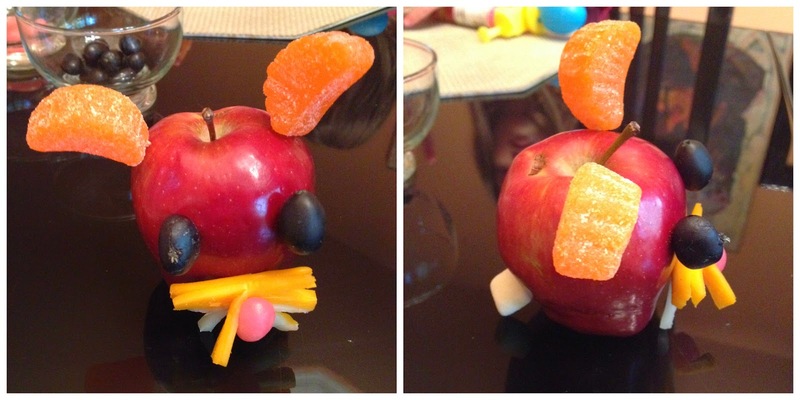 My kids enjoyed this cute Apple Bunny craft that my Mom found somewhere on the internet. Using toothpicks, the ears are jelly orange candy, the eyes and nose are jelly beans, and the whiskers are string cheese. The tail is a white marshmallow. My kids had fun using their creativity! While at my parents' house, we got to visit with my older brother and niece on Skype. My brother and his family live in Australia. I haven't met my niece yet in person, but we plan to in September! She is so adorable! I can't wait to meet her! 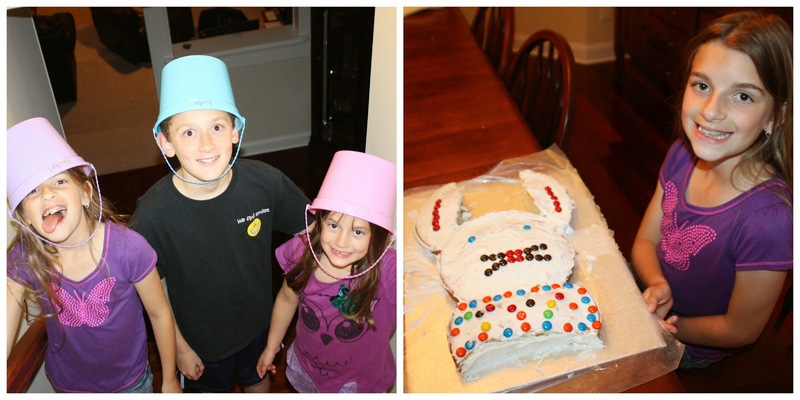 After we visited my parents, we went to my in-laws home to eat dinner where my girls decorated the annual bunny cake and we had an indoor Easter egg hunt. 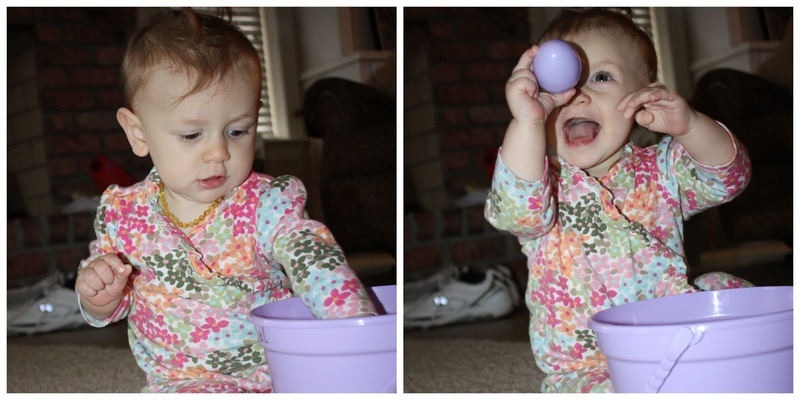 It was a blessed Easter 2014 with lots of laughs and memories! May you have a blessed Easter season! He is Risen! Alleluia! 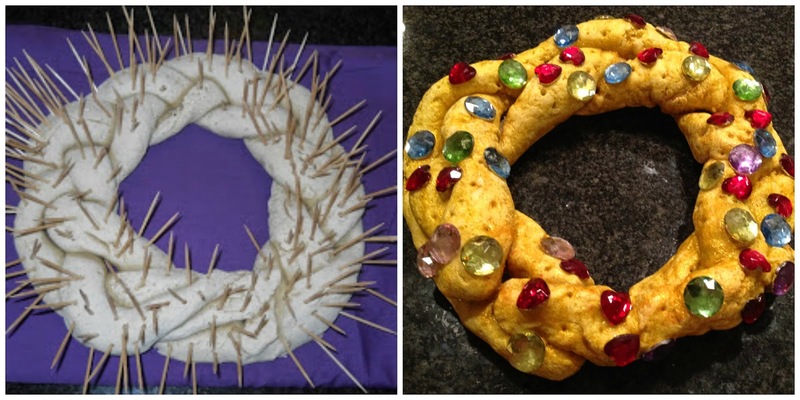 I love the salt-crown turned to the Lord's crown of victory - what a great image for the kids. Will definitely try that one next year! 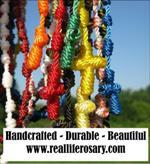 Have a blessed Eastertide! 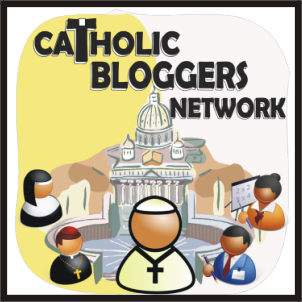 What wonderful pictures of what looks like a very blessed Triduum with your family. Blessed Eastertide to you & yours. Alleluia!